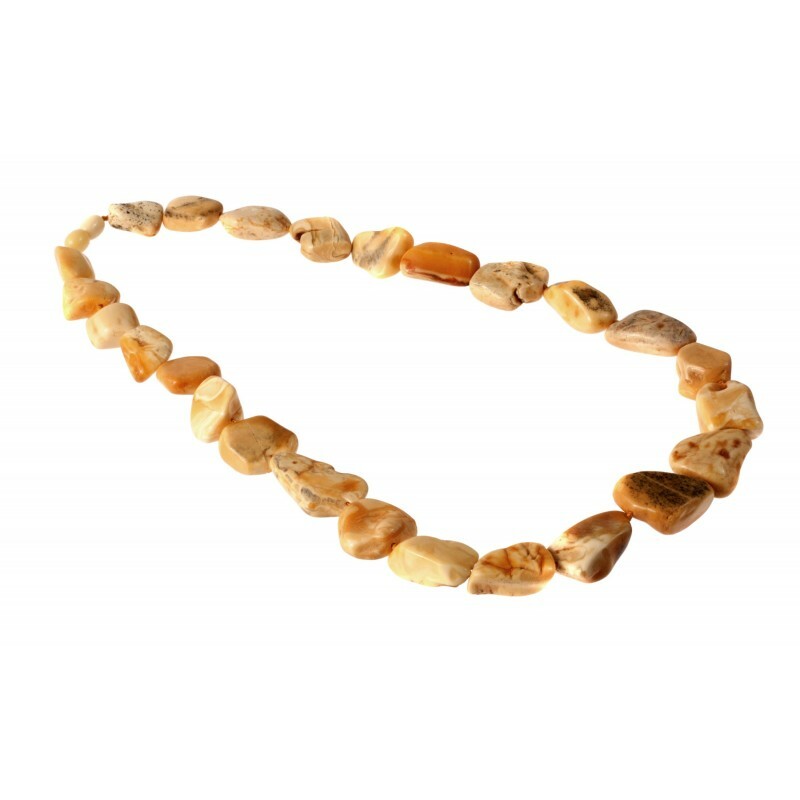 A necklace of natural Baltic amber which saved all the healthful amber qualities and accumulated solar energy. Pastel color of beads varies from bleached coffee to burnt sugar. Matted, yellowish-tones amber necklace. Seems like traces in the powdery sand of Nida's dene.